Electronic scales for cryogenic gases blend the best abilities of a gas scale with the technology and electronics of modern engineering. Electronic scales for cryogenic gases are similar to scales for liquefied gases. Both scales weigh the mass of the gases contained in cylinder structures. The purpose of electronic scales for cryogenic gases is to provide a measurement of the remaining amount of gas in a cylinder. It was once could have been thought that a pressure meter indicated the remaining gas. Instead the internal pressure of the cylinder remains constant until the very point the cryogenic gas is gone. By that point, the pressure indicator is useless because the gas has already exceeded the expected expenditure. An electronic scale for cryogenic gases remedies the costly and dangerous situation. 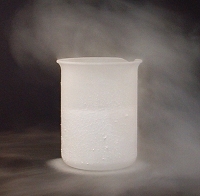 The same situation happens with other forms such as liquid nitrogen, oxygen and argon. The most essential features of an electronic scale for cryogenic gases are reliability and durability. The scales need to be accurate and able to maintain that accuracy for years. The cost of electronic scales for cryogenic gases requires that they last for several years. Therefore the best scales possess covers and housings that are resistant to water and corrosion. The scales protect the internal electronics and the buyer’s investment from the elements and the day-to-day rigors. The best choices are stainless steel, polycarbonate or aluminum housings. An electronic scale for cryogenic gases with a monitoring does more than monitor the weight of the gas similar to an alarm. Besides alerting the operator, the monitoring unit can dispatch for a new order of cryogenic gases from the distributor. A large, easy-to-read LCD displays makes for fast easy recording of numbers. The displays should report scale measurements up to 1/10th of pound or a kilogram. The best choice for display housing is water and corrosion resistant to ensure the electronics are not damaged. A digital scale should provide a readout in pound or kilograms. The feature saves time on conversions and prepares the scale to deliver results to worldwide businesses. Electronic scales for cryogenic gases come in three primary forms, measuring 300, 500 and 1000-pound capacities. The scales also come in multiple size platforms depending on the size and shape of the cylinders for cryogenic gases. The various sizes add customization and flexibility for consumers seeking an electronic scale for cryogenic gases. A low repeatability with 1/10th of a pound ensures accurate readings. A pre-set digital timer and alarm system alerts operators when the electronic scales reaches the target weighing remaining for cryogenic gases. The alarm system frees operators to monitor other projects without concern that gas expenditures will be exceeded. Most alarms measure a percentage of the scale’s capacity in determining the weight of the desired cryogenic gas amount. The alarms also alert operators when cryogenic gas reaches dangerous levels. Multiple load cells give an electronic scale for cryogenic gases the ability to weigh multiple cylinders without concern of placement on the platform simultaneously. The feature preserves time, money and speeds up distribution of cryogenic gases.